YNX Recruiting Visit: CMM KMUTT “On the Spot” Evaluation/Hiring – Yannix(Thailand)Co.,Ltd. 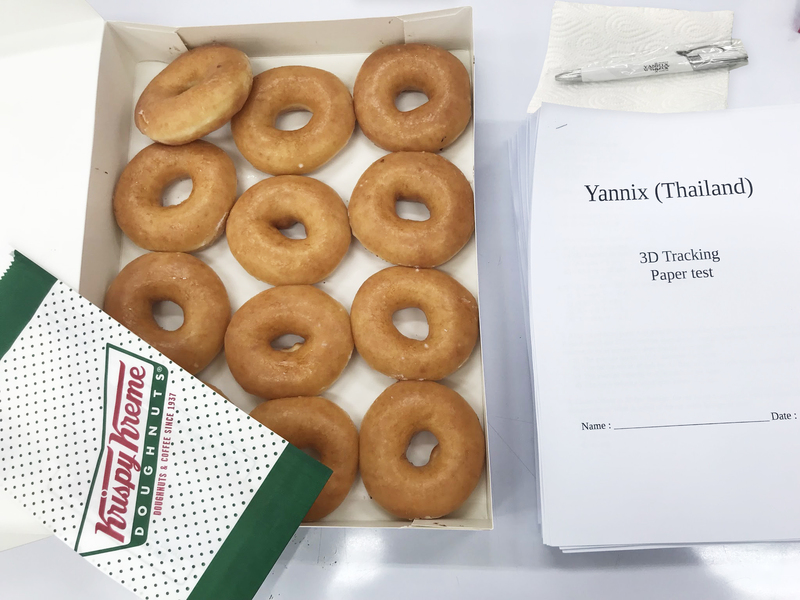 On Monday, January 29, a team of Yannix recruiters/managers visited the Department of Applied Computer Science-Multimedia at King Mongkut’s University of Technology Thonburi (CMM KMUTT) to interview and evaluate students/candidates interested in employment at Yannix. The YNX contingent was led by Piyana “Nuch” Sukanghong (Head of Human Resources/Senior Recruitment Administrator), Athakrit “Zee” Pattarasakkumjorn (Deputy Head of Production), Jakkrapong “Ball” Kitmanacharounpong, and Korlapat “Tarn” Kulkasem. On the day, students who demonstrated an interest in working at YNX were interviewed and tested right there on the premises. Those who performed at a high enough level were offered positions on the spot. Overall, the visit was a success. YNX would like to thank Chanin Tungpantong and Salisa Tubtong from CMM KMUTT who helped to coordinate this event.